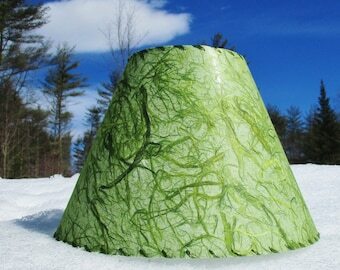 This large empire style shade measures 7" top, 15" bottom, and 11" tall. 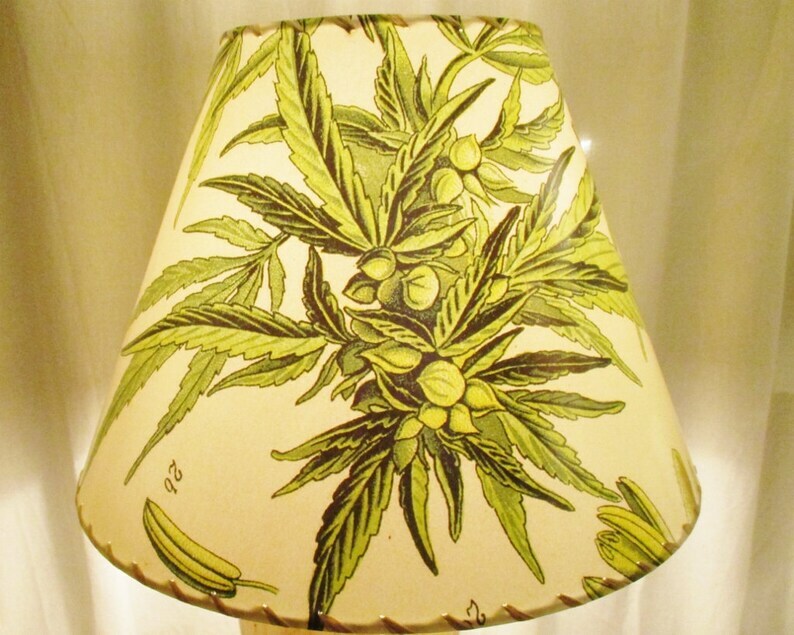 It is made with a vintage botanists print of cannabis sativa, or marijuana plant, showing all the stages of the plant. Buds, flowers and seeds are depicted in drawings with excellent scientific detail and accuracy. 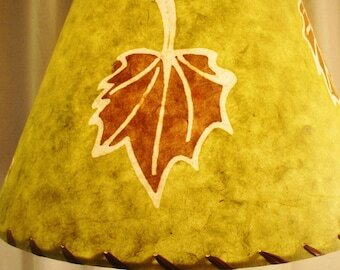 It has a cream background with green printing and is stitched with tan raffia. The hardware is a washer top for your lamp with a harp. When lit, the shade has a warm glow, with crisp details illuminated. This shade is in-stock and ready to mail. Lampshades can not be returned so please check the size and hardware you need, read my policies, and make sure this shade will work for you before ordering.